- Includes 25 lens protectors. - Apply one at a time over Pull Over Hood #13001 or Direct Feed Hood #HD01 lenses. 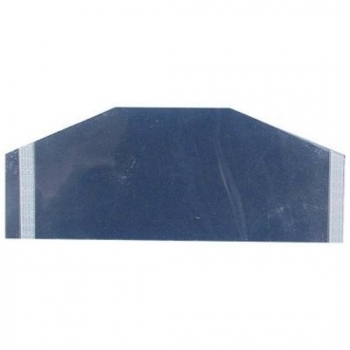 - Easy application with two peel-off tape lines. Protect your investment. You are able to rebuild your painting hood re-using the air supply hose to the male fitting (including the belt), but it is not possible to replace the lens. We recommend that you protect your lens even if you are only working in a dusty environment to prevent scratching.